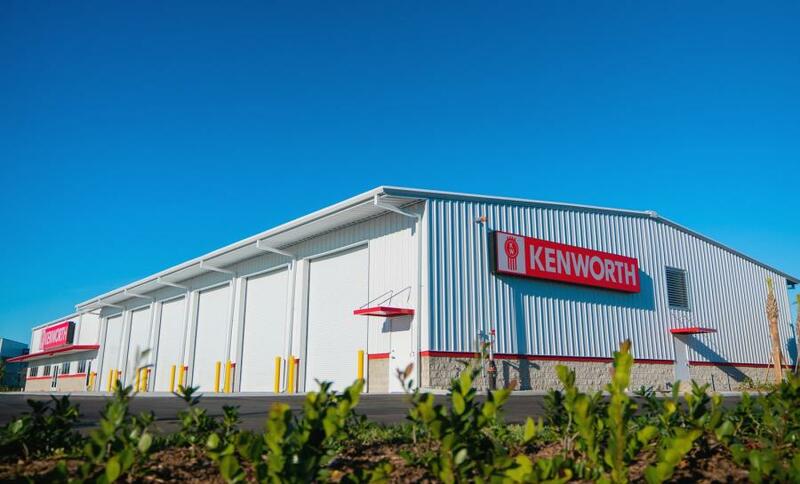 The $2.7 million facility features 12 service bays, 2-hour truck diagnosis through Kenworth PremierCare ExpressLane, 700 sq.-ft. visual parts department supported by a large, fully stocked parts warehouse with ample inventory, a comfortable driver’s lounge and 24-hour towing service availability. The $2.7 million facility features 12 service bays, 2-hour truck diagnosis through Kenworth PremierCare ExpressLane, 700 sq.-ft. visual parts department supported by a large, fully stocked parts warehouse with ample inventory, a comfortable driver's lounge and 24-hour towing service availability. The new dealership is located at 3720 Interstate Park Road South, across the street from its previous facility in the West Palm Beach area. It is less than a quarter mile southeast of Exit 76 on I-95. The nearly 16,000 sq.-ft. facility sits on 2.1 acres, providing truck drivers with plenty of parking. "The new facility is substantially larger than the previous location, and will help drive our dedicated efforts to provide enhanced support and uptime to our customers," said Todd Hays, dealer principal of Kenworth of South Florida, which also operates locations in Fort Lauderdale, Fort Pierce and Naples. Kenworth and its dealer network provide leading-edge customer support throughout the dealer network with the Kenworth PremierCare and Kenworth PremierCare Gold Certified service programs. PremierCare Gold is a superior level of service that offers extended dealer operating hours and expedited expert diagnostics, among other services, that assist customers in maximizing uptime and overall vehicle performance.